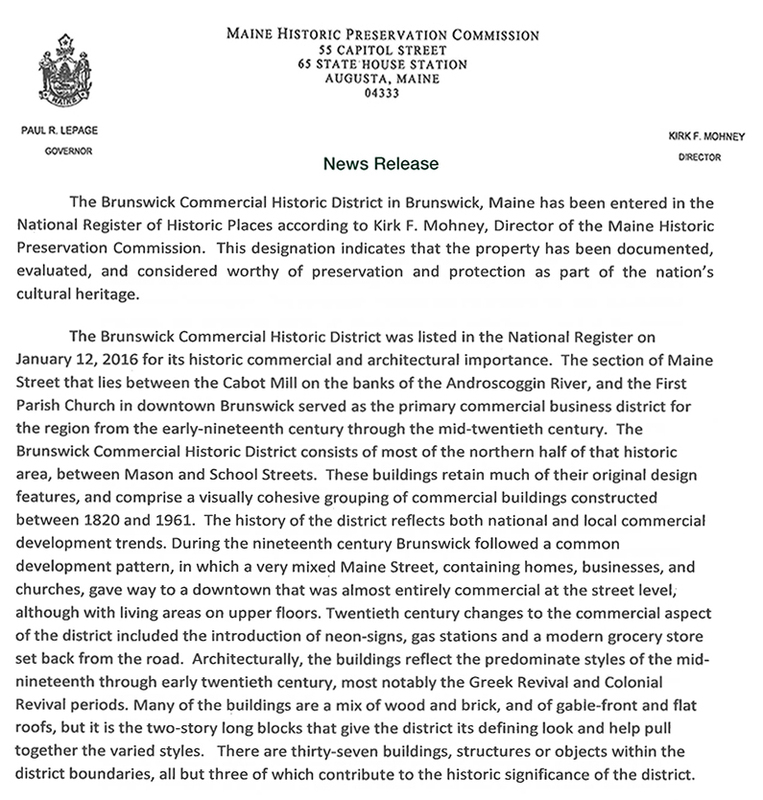 Claudia Knox, BDA Board Secretary & Design Committee Chair announced that the National Park Service added the Brunswick Commercial Historic District to the National Register of Historic Places on January 12, 2016, thus acknowledging the significance of downtown Brunswick to the region, to the State of Maine, and to the Nation. 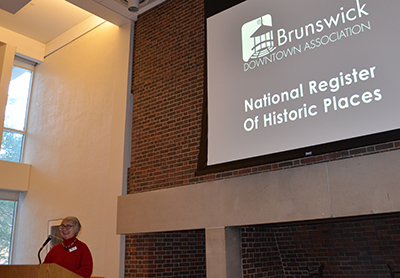 The Brunswick Commercial Historic District joins the Lincoln Street and the Federal Street Historic Districts in our downtown. It stretches from Mill Street to Pleasant Street and from Mason Street to School Street, incorporating 34 buildings, and now their owners may access tax credits to defray up to 45% of eligible costs for renovation projects to make their buildings more productive – this includes rewiring, new plumbing, structural work, energy efficiency, fire suppression, installing elevators, and more, including soft costs for engineering and tax expertise. BDA and the Town Planning Office can direct owners to tax credit information from MHPC and NPS. Being in the Register imposes no requirements and no constraints on building owners. Local Brunswick ordinances continue to apply as before.